Hands down, the Langstroth hive is the most popular and widely used hive today. Certainly this is the case in the United States and in most developed countries around the world. Invented in 1852 by Reverend Lorenzo Langstroth, the basic design has remained mostly unchanged, which is a­testament to its practicality. The big advantage of this hive is that the bees build honeycomb into frames, which can be removed, inspected, and moved about with ease. All the interior parts of this hive are spaced exactly 3/8-inches apart, thus providing the correct bee space (in other words, the bees won’t glue parts together with propolis or fill the space with burr comb). 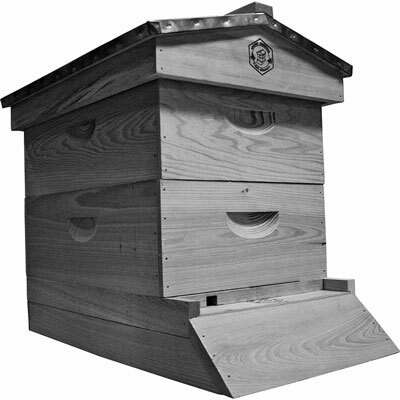 Given its wide popularity, many commercially available parts and accessories sold for beehives are standardized to accommodate this design, meaning the beekeeper using a Langstroth hive has all kinds of options when it comes to purchasing extras (such as replacement parts and accessories). Consider standardizing on using a medium honey super (the super is where the bees store the surplus honey you will harvest). Many beekeepers use shallow supers, which are not quite as tall as the medium design. The medium honey supers hold more honey than shallow, and yet they are still relatively small and light enough to lift off the hive. Many suppliers are offering an 8-frame version of the Langstroth hive. Fewer frames result in a setup that’s lighter in weight, and that can be a big advantage to the beekeeper when lifting hive bodies. Your back will appreciate the 8-frame version! This is an option that’s gaining great popularity among ­backyard beekeepers. 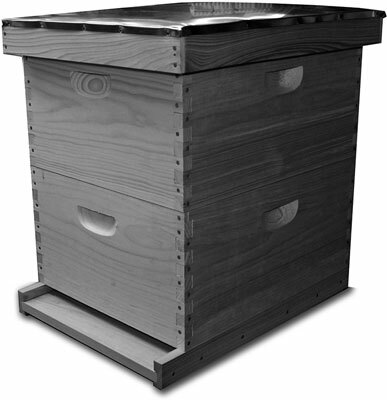 The Langstroth is the hive type recommended to new beekeepers. Capacity: Because this design consists of modular, interchangeable hive parts, you can add extra medium or shallow honey supers as the colony grows and honey production increases. Capacity for bees and honey is virtually unlimited. Frames: There are both 8- or 10-frame versions of the Langstroth hive available (the 8-frame version being a slightly smaller and lighter hive in weight than its 10-frame cousin). Both versions use a Langstroth-style of self-centering frame with beeswax foundation inserts. Universality: Because the Langstroth hive is so widely used around the world, you can easily find replacement parts, gadgets, and add-ons for this popular hive. They are widely available from many beekeeping supply stores (search the web and you will find many such suppliers).